Located upstairs, this air-conditioned room features a private entrance, a microwave and an en suite bathroom. It has a TV, a DVD player, coffee and Oreo cookies. Please note that the price is based on 2 guests. There is no capacity for additional guests. This downstairs room features air-conditioning, an en suite, Pay TV, DVD player, spacious desk, microwave, toaster, coffee and complimentary biscuits. Please note that the price is based on 2 guests. There is no capacity for additional guests. This room features a desk, a refrigerator and a flat-screen TV with cable channels and a DVD player. Please note that the price is based on 2 guests. There is no capacity for additional guests. This spacious room features a desk, a refrigerator, a microwave, tea/coffee making facilities and Oreo cookies. There is a flat-screen TV with cable channels and a DVD player. It includes a large bathroom. Please note that the price is based on 2 guests. There is no capacity for additional guests. This air-conditioned room features a desk, a refrigerator and a flat-screen TV with cable channels and a DVD player. It includes a private bathroom. Please note that the price is based on 4 guests. There is no capacity for additional guests. PLEASE SUBMIT A BOOKING REQUEST FOR ACCURATE PRICING AND AVAILABILITY! 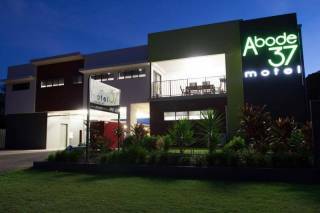 The Emerald Maraboon Motor Inn provides modern, stylish, four star accommodation in the heart of Emerald, Queensland. We offer comfort in a relaxed environment with a range of services including high speed wireless internet, two independently owned onsite restaurants, room service, a swimming pool, and free use of workout equipment, all within walking distance to the cinema complex, the hospital and shopping centres. 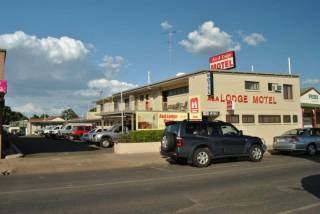 Located in the heart of Emerald, Emerald Maraboon Motor Inn is a short walk from restaurants, cafés and shops. Guests enjoy a swimming pool, tropical gardens and free Wi-Fi. 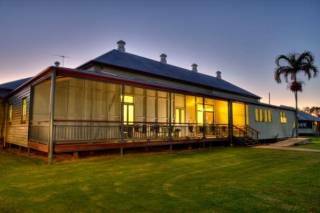 Accommodation options include executive, standard and family rooms. All are air-conditioned and feature stylish furnishings. All rooms feature a desk, a refrigerator and a flat-screen TV with cable channels. Each have a bathroom with a shower. Whether you are a business person or a family, we are committed to making your stay enjoyable and relaxing. All older children or adults are charged AUD 11 per person per night for extra beds.